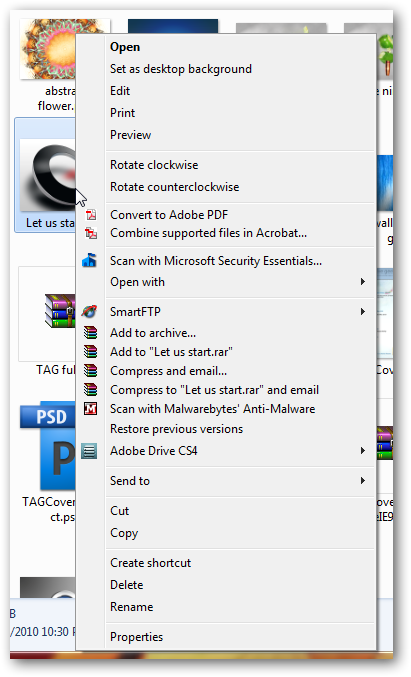 As for Microsoft Vista, hidden right-click options menu context are available by Shift + right click in Microsoft Windows 7 too. Note: All screenshots in all tutorials have click to zoom feature. Click after the page load is complete and a border appears around them. In the keyboard there is a right click key too! Its situated between alt and ctrl key (generally on the right side of the space bar). You can use plain right click or Shift right click key from the keyboard. 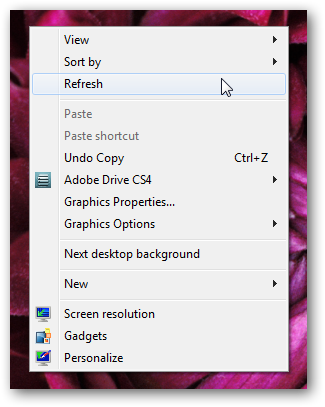 In case of Shift right click; the underlined words in the menu will work as shortcuts from keyboard. For example, in the above screenshot, if you want the picture to set as Windows 7 background, just press B (underlined) from the keyboard. This Article Has Been Shared 5738 Times! Change Windows Logon Background without any 3rd party software. There is no need of installing extra third party software to change the logon background. You can easily change the background by just following this article. Tutorial to add hover on text appear effect to any folder similar to “tooltips” used in websites. To select all the files and folders inside a folder (or desktop) we need to press CTRL + A key from the keyboard. 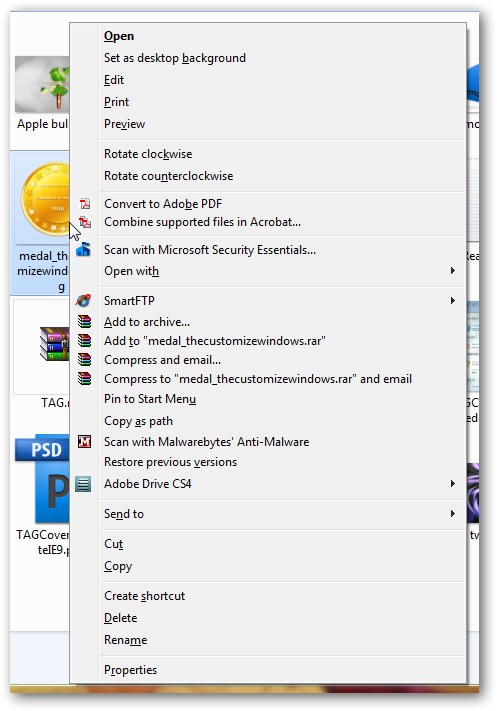 However, with a small trick, we can add this option to right click context menu in Windows 7. 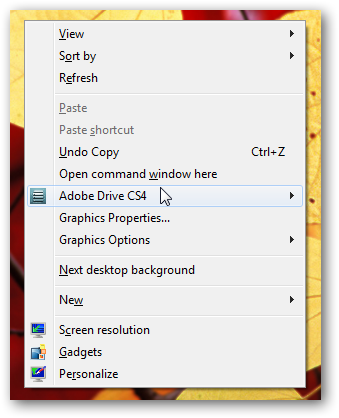 Cite this article as: Abhishek Ghosh, "Right-click: the hidden options menu in Windows 7," in The Customize Windows, November 28, 2010, April 20, 2019, https://thecustomizewindows.com/2010/11/right-click-the-hidden-options-menu-in-windows-7/.